This group is open to everybody to share their expertise's, stories and experiences regarding credit issues and credit scores. Make sure to post informative blogs to help educate the Consumers. Talk about Tips and Tricks on how to establish/re-establish credits and how to improve credit scores. We will provide, as a minimum, answers to the following questions. · What is a credit report? · What is a credit score? · What is a FICO score? · Who are the major credit reporting agencies in the U.S? 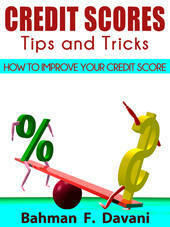 · Why are credit scores so important? · What is a credit report made of? · What is a credit score made of? · How can I improve my credit score? · How much will a slightly bad credit score cost me? · How much will an increase of 1% on an interest rate cost me? · Are there other credit scoring companies? · How do I access my credit reports and credit scores? · How can I establish a good credit history? · How can I re-establish or improve my credit scores? · Where and who should I contact to correct an error on my credit report? · What types of credit are available? · What are my rights as a consumer? · List of Do’s and Don’ts after foreclosure, short-sale, bankruptcy, and other unfortunate events. Please join the Group and start sharing your thoughts.